In this post, I discuss my ongoing experiment with eliminating alcohol from my diet. I use this experience to address a question: why do we find some forms of habit change easier than others? 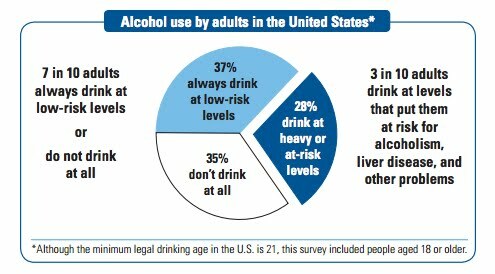 …”low-risk” drinking [is defined] as no more than 14 drinks a week for men and 7 drinks a week for women with no more than 4 drinks on any given day for men and 3 drinks a day for women. Regardless of which source I choose to believe, my data still places me above average. There was also a more personal reason: in analyzing the panic data, I found that caffeine wasn’t the only panic-inducing culprit. By training a maximum entropy classifier, I found that high alcohol consumption was predictive of panic attacks. 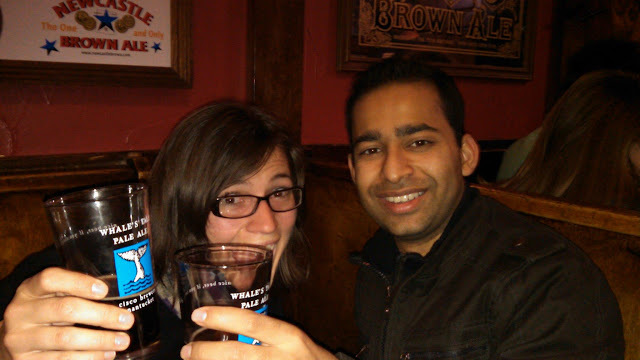 Dissecting my data with bash supported this hypothesis: on days where I had a panic attack, I was usually drinking more than average both that day and the previous day. So why elimination instead of moderation? Simple: moderation wasn’t working. I’d been using the USDA guidelines as my goal during the two panic tracking periods, with little success. I didn’t find elimination harder. On the contrary, it was much easier than moderation. I didn’t stop going out to bars or visiting friends. I didn’t smash all the bottles in the liquor cabinet or pour out the homebrew stash. I didn’t enroll in any support groups or 12-step programs. What gives? Elimination: the decision is always No. This default decision is applied to every decision instance. Moderation: the decision may be Yes or No. Each decision instance requires a consideration of the circumstances. Amount: Have I said Yes too much? Cost: Who pays for Yes? Am I paying? Is a friend buying the next round? Did I receive free beer in exchange for volunteer services? Novelty: Is this Yes different somehow? Am I at a brewery I’ll likely never visit again? Did a batch of homebrew just finish carbonation? Social Pressure: What are the social costs of Yes and No? Special Occasions: Does the occasion warrant changing the Yes threshold? Am I on vacation? At a fancy restaurant? Out at a concert? Taking the willpower as muscle metaphor one step further, this was a feat of endurance. Even though amount should be the only relevant factor here, each decision instance spawned a host of smaller sub-decisions. By contrast, the elimination strategy required only one decision for each instance, and that decision was predetermined: No. It was a larger single decision, more akin to a feat of willpower strength. In Charles Duhigg’s conception of the habit loop, we can’t truly break habits; we can only swap in alternate routines that connect the old cues and rewards. This reminded me of a term my friend Travis Brooks used: ENAB, short for Equally-attractive Non-Alcoholic Beverage. There are delicious flavor syrups and ginger beers. Spa water and carbonation systems lend new life to boring dihydrogen monoxide. By making non-alcoholic beverages as exciting as microbrews and Sonoma wines, I tapped into my desire for exploration: here was a whole new range of beverages to discover! Many of us think our drinking is like everyone else’s. While it is true that more educated people drink more, I encountered much less of a “drinking culture” among my friends than I had expected. In fact, by being open about my behavior change and the motivations behind it, I received a good deal of social support for this decision. Fear Of Isolation: We may believe that our current habits are normal or average, and resist changing for fear of being regarded as unusual. Fear Of Inadequacy: We may believe that we are unable or less able to change than others, and resist changing for fear we will not be successful. In both cases, data to refute the fear-expectation may be hard to find. Physical Dependence: Although I drank more than average, my drinking had not progressed to the point of chronic dependence. Alcohol withdrawal can be extremely serious, so this unsupervised “cold turkey” approach might be dangerous for problem drinkers or alcoholics. Social Pressure: I found my friends to be understanding of my habit change. This is not universally true, however, and in some instances it may be necessary to rethink your personal relationships before behavior change can occur. Specific Desires: Exploration is a strong part of my identity. Others will have different mental cues to tackle or subvert in designing behavior change strategies. Willpower: If strength and endurance are separable components of the “willpower muscle”, it’s possible that others may find the endurance of many small decisions easier than the strength of one big decision. These same factors made elimination an easier form of habit change for me. Although there are general principles of habit design, I believe that further exploration will reveal it to be a highly personal process. It is one thing to say “replace the routine”, and an entirely different thing to do so. This is not to say that such exploration is hopeless; far from it. If self-tracking leads to mindfulness, perhaps this mindfulness will equip us to more effectively identify and modify the habit loops that rule our lives. My goal is not lifelong abstinence from alcohol. Rather, I’m hoping that this will reset my baseline consumption, making it easier to practice moderation later. This experience has also demonstrated that elimination is a viable choice for me; if I find that my moderation efforts are slipping, I can return to a period of elimination. Having proven strategies under your belt can be enormously helpful in making behavior change stick.